Second, select several potential dinner dates that work. Don’t even think about dates that aren’t at least two months away. Set an alarm to go off at 9:55 A.M. two months to the calendar day before your earliest potential date. Whatever you have to do, make sure you can block out 30 solid minutes after the alarm goes off. Next, begin working on your manual dexterity. You can’t possibly hope to get through if you’re all thumbs! Play a few video games, or better yet, dust off your old piano and practice your arpeggios, faster and faster, until you’ve driven your friends and family out of the neighborhood. Immediately hang up and dial this number again on your secondary, back-up phone. You’ll get the same message, of course, but now you have the number entered into both phones. To allow for any time difference between your clock and that of Mr. Keller’s, hit "redial" for the first of many times, beginning at 9:59 A.M.
Here’s what the next 20-30 minutes of your life will be like: Hit "redial" on phone #1. While waiting for the busy signal, do the same on phone #2. Now phone #1 will be sounding its busy signal while phone #2 is dialing. Hang up phone #1 and hit redial again. An instant later you’ll hear the busy signal from phone #2 – hang it up and hit redial. And so on and so forth. Using two phones you can expect to dial about 12 times a minute for the next 20 minutes or until you eventually get a recorded message indicating you have finally gotten through to the reservation office. Your dialing is now over, but you’ll still spend the next 5-7 minutes listening to a recorded message that repeats every few minutes. Eventually, you will hear the dulcet tone of a live Reservationist – your pay-off for 20-30 minutes of effort. But don’t get too excited, after working feverishly for 20 minutes to fill the restaurant’s short reservation list, Reservationists spend the rest of their day apologizing to the slow and unlucky who must settle for the wait list. Oh, and if you DO get your reservation, be prepared to hold it with a credit card – cancellation fees will be charged if you no-show for any reason. And don’t forget to confirm your reservation within 72 hours or it’s given away. Of course, not everyone will get a reservation. In that case, set another alarm for 60 days prior to your NEXT date, and as they used to print on the back of shampoo bottles "lather, rinse, repeat". Such is the reality of dining at the nation’s top-rated restaurant. Did I say "dining"? Foolish me. One does not go to the French Laundry simply to dine. One goes to humbly worship in this temple of culinary perfection. Food pilgrims the world over gladly pay not only to have a great meal but to have an amazing, a flawless, a memorable experience. 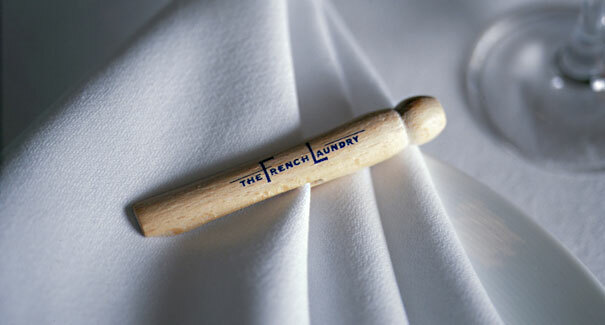 My first and only French Laundry experience was when I proposed to the woman who would become my wife. 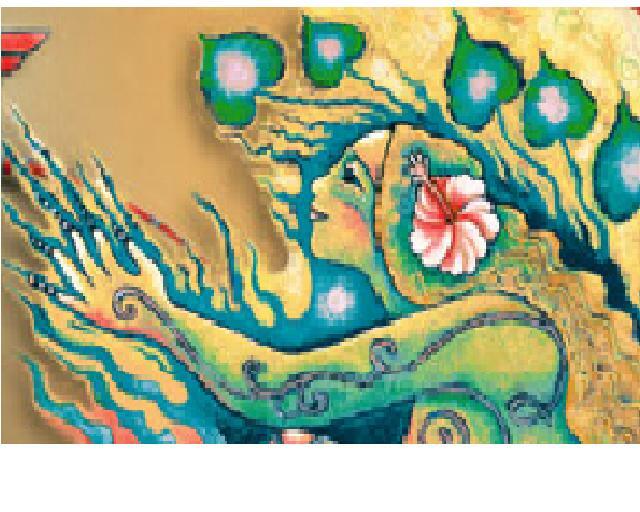 By that time in my middle-aged life, I’d wined and dined my way across much of the globe, and was reasonably well-seasoned through the graciousness of numerous expense accounts and my own budgetary priorities. But nothing was like the French Laundry. Never before had we been given 27 pieces of flatware during the course of dinner, by a server dedicated to replacing each table’s flatware before each course, assuring each diner had just the right implements to partake of their next course. Tudor Wines – When asked to pick a favorite wine from our portfolio, I’ve always been unable to do so, likening the impossible task to that of "Sophie’s Choice". But I am most proud to have stumbled upon the Tudor wines before they have been given their just rewards. Tudor wines are featured in Chicago’s famed Everest restaurant and have been selected for some of the Central Coast’s most prestigious VIP affairs. Not bad for a winemaker/surfer/mushroom forager who is, above all, interested in avoiding the corporate grind. These wines would be comfortably at home on the French Laundry wine list, I daresay. But then, such decisions are not mine to make. Casa Barranca – we included some of these wines in one of our club shipments and seldom have seen so many re-orders. 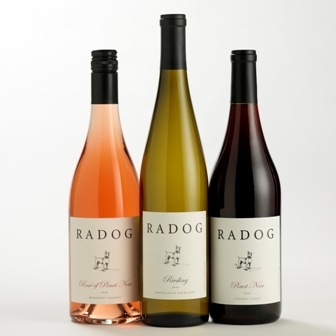 Made from organically grown grapes, these wines follow the unfined and unfiltered paradigm that is the hallmark of some of the worlds most interesting wines. A testament to the cleanliness of the winemaking facility, and to the skill of the winemaker. Astrale e Terra – This is one of just a handful of Napa Valley wines we’ve decided to carry, as most of them are priced beyond what we feel is their relative worth. But in our humble opinion, this boutique producer from the Atlas Peak region is a sleeping giant, much like the star their premium wine is named for – Arcturus. Buy this now before they become discovered and their star begins to rise! Labyrinth – Winemaker/Owner Ariki Hill has double the experience of most winemakers, producing Australian wines during our Spring (their Fall) and California wines during our usual harvest season. He specializes in Pinot, the most food friendly of wines, and prefers an elegant style with higher acids that complement foods such as those found at your best of dining establishments. Benjamin Silver Wines – Benjamin is the quintessential home-run slugger – Barry Bonds without the steroids. Identified years ago as one of the Central Coast winemakers to watch, he is a better winemaker than marketer. As a result, his wines still fly below the radar in many cases. This is good for those of us who follow his wines, as their price will surely rise when eventually outsources his sales and marketing to a powerhouse company. Personally, I like things the way they are at Silver Wines, while realizing that the ever-elusive concept of success requires that he take off. We wish Benjamin good fortune, and in the meantime we buy a lot of his wines while we can still afford them. "Actually, the true gourmet, like the true artist, is one of the unhappiest creatures in existence. His trouble comes from so seldom finding what he constantly seeks: perfection"